The Greehey MBA is for values-driven leaders who are looking to make an impact on their enterprises, institutions and communities by positively transforming themselves. This 16-month, cohort-based program, beginning in the fall, has small class sizes that afford students personalized attention, one-on-one faculty interaction and opportunities for peer-to-peer mentoring. Self-assessment exercises, goal-setting activities and individual and group projects provide a holistic context for learning, application and practice. In the process, students develop close working relationships that will benefit them and their organizations throughout their careers. Saturday lab sessions accommodate working professionals and focus on essential skills. The labs are divided into a series of 15 Saturdays. Two of these Saturdays are dedicated to intensive, all-day accounting and finance quantitative leveling to support our accounting and finance core courses in the fall and spring. The remaining 13 Advanced Business Skills Labs (ABS Labs) have been developed to support key learning and program outcomes critical to student success. These fall into three categories: Data Analytics, Communication and Team Dynamics, and Values-based Leadership. Labs are offered during the course of the 16-month program to compliment the core curriculum and the student’s own learning journey. A built-in, concentrated international experience. Today, every facet of business is touched by the global economy, and no professional can operate successfully without an understanding of this context. 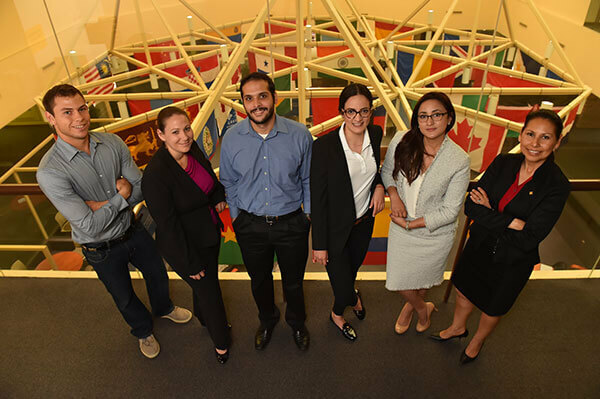 The Greehey MBA program takes students to global destinations for a concentrated learning experience during which they are exposed to diverse business cultures and learn from local experts. In addition, the trip is short enough to fit within the average professional’s allotted vacation time. Wait list and post-graduate support activities. St. Mary’s believes that education begins the moment a student is accepted and lasts a lifetime. Students on the Greehey MBA wait list can begin to form relationships with other students and start transforming their careers before they even step foot in a classroom. Graduates of the program remain an integral part of the St. Mary’s family for lifelong learning opportunities, including invitations to networking events and other value-added activities. Social Innovation Workshop. 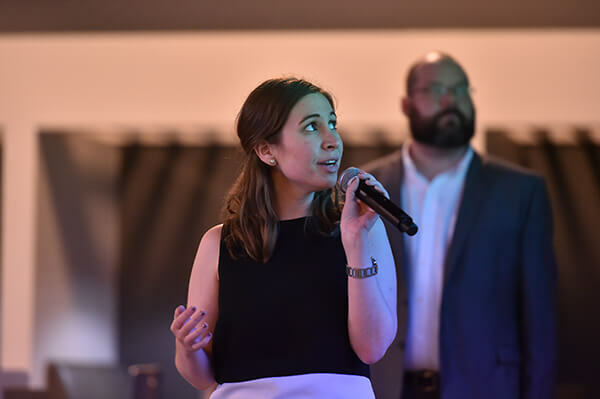 During the summer, Greehey MBA students have an opportunity to come up with ideas in the context of social innovation and develop them into viable business concepts that also accomplish a social purpose. We provide a “real world” experience where formulation and presenting of lean business models occurs under severe time constraints. The Greehey MBA for Values-Driven Leaders seeks to develop and prepare competent individuals for responsible leadership positions in any organization or enterprise in the context of ethical leadership, corporate social responsibility, sustainability and social entrepreneurship. By design, this program is a lock-step, cohort-based, curriculum experience. We reserve the right to deviate from the established curriculum, but only on a case-by-case basis under extraordinary circumstances. Students can pursue a Master of Business Administration for Values-Driven Leaders. 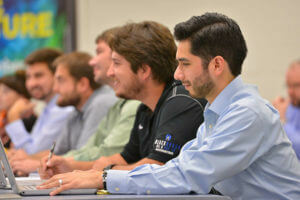 In addition to their major courses, students are required to attend an MBA orientation activity. Admission is granted to individuals with high promise for success in graduate study, as demonstrated through previous schooling and testing. All applicants must hold a bachelor’s degree or the equivalent from an accredited college or university. Official test scores: GRE, GMAT, or MAT as required by the program. International residents must meet additional requirements as described in the International Students section. For specific program requirements, please refer to MBA section in the Graduate Catalog or contact the Office of Graduate Admission at 210-436-3101 or graduate@stmarytx.edu. St. Mary’s offers students the opportunity to earn the Greehey MBA for Values-Driven Leaders or a Joint J.D./M.B.A. An integral part of our Greehey MBA curriculum is the International Field Study, or IFS. This built-in, concentrated international experience takes students to global destinations for a dynamic learning experience, during which they are exposed to diverse business cultures and learn from local experts. The trip is short enough to fit within the average professional’s allotted vacation time. Greehey MBA graduates have had the opportunity to travel to Brazil, France, Germany, India, Netherlands, Mexico, and South Korea. For additional information, contact Jeremy Grace, Director of Master of Business Administration Programs.